Wow, talk about a pop of color! 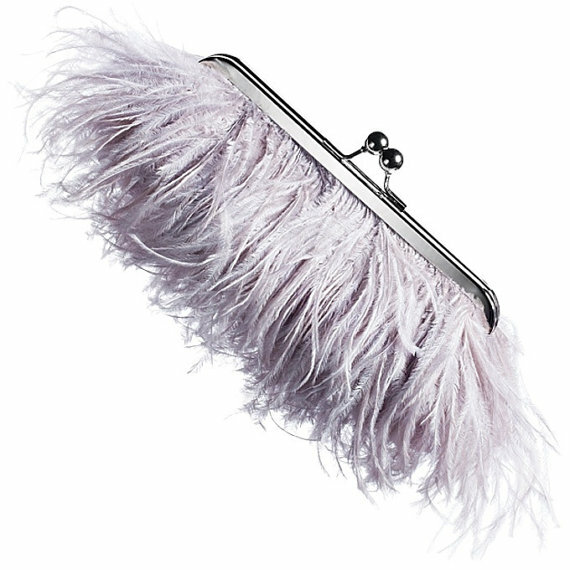 When we saw this fuchsia clutch purse over at ANGEE W., we couldn’t wait to share it with you. 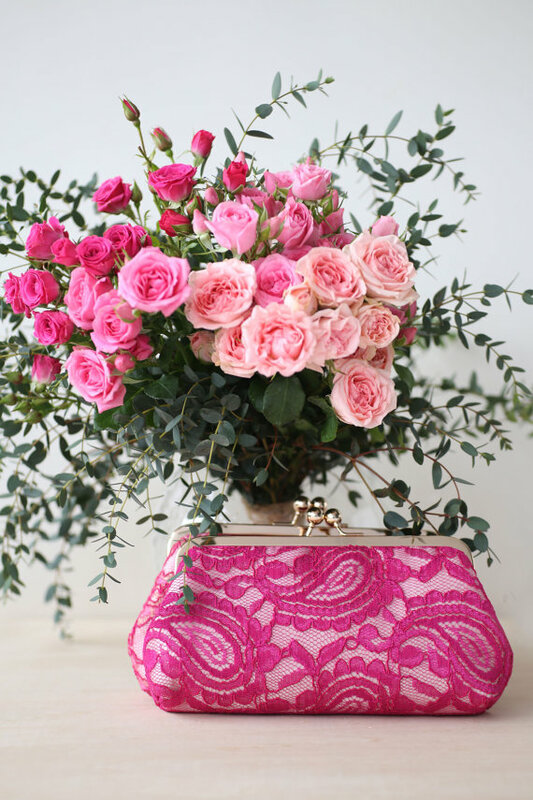 This sassy fuchsia lace clutch is made of ivory Alencon lace over blush satin fabric. 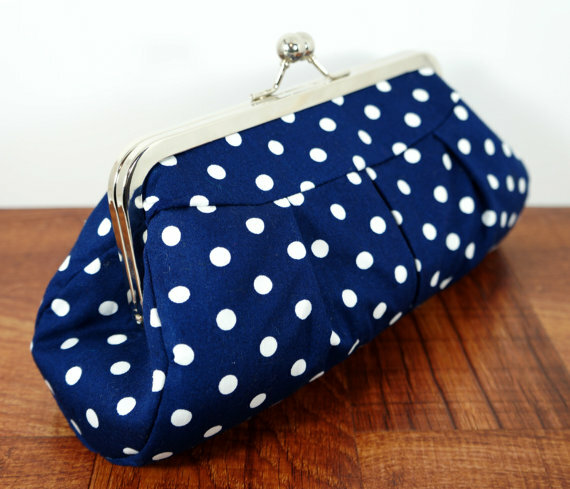 There’s a small inner pocket to fit your cell phone, money, or small change. The bag is padded and fully lined. You can see this (+ more!) here. Bring Life to a Treasured Photograph! Got a few gorgeous photos from your engagement photo shoot, your childhood days, or from your parents’ wedding? 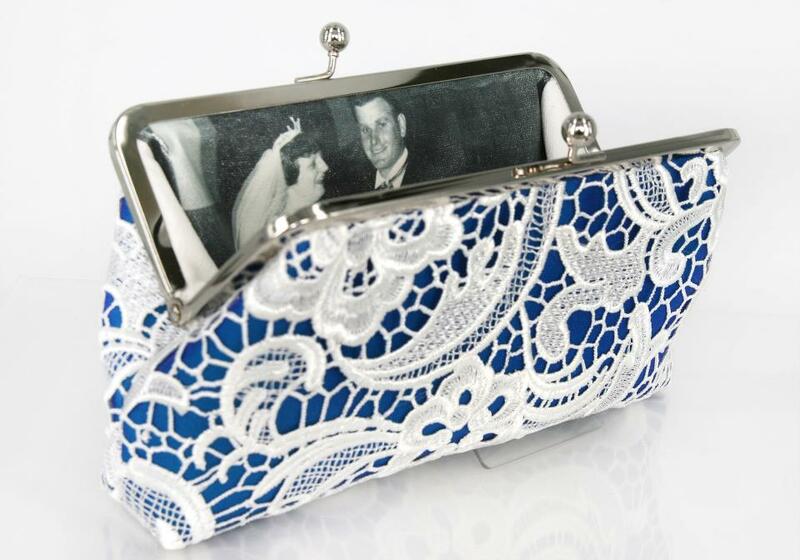 Here’s a clever yet classy way to bring life to a treasured photo on your wedding day, honeymoon and beyond: have it created into your bridal clutch bag. Featured on ELLE Magazine, Etsy Wedding, HuffPost Wedding and of course here on Emmaline Bride (in fact this is where it was first featured back in 2011! 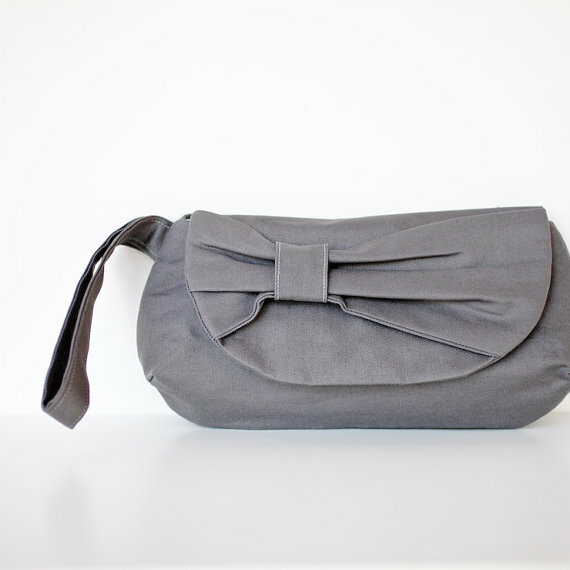 ), our photo lined clutches are one of our absolute bestsellers since 2011. 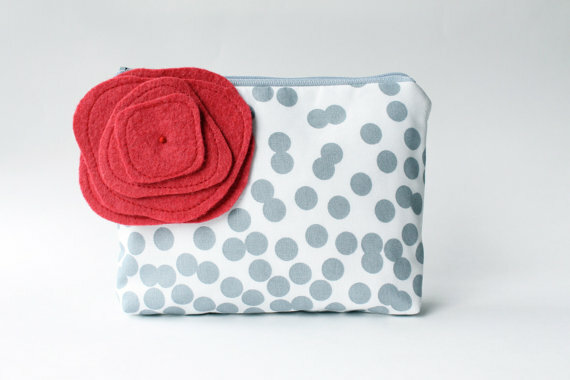 These photo clutches also make wonderful Christmas or thank you presents. To order yours, please budget at least one month for delivery as each is made to order and is hand crafted. 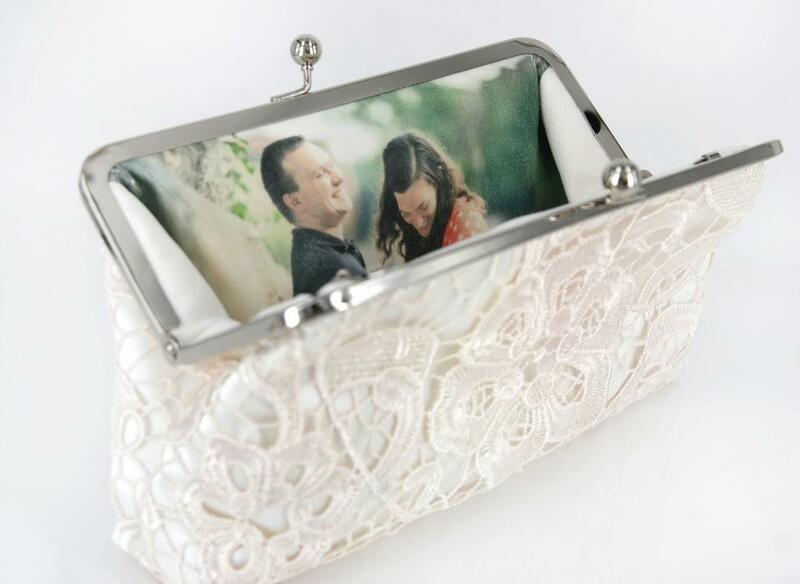 Get your personalized photo clutch bag here. 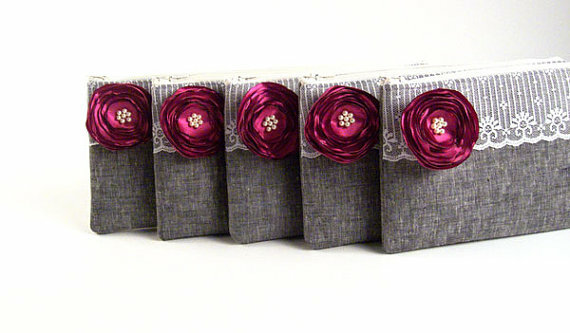 ANGEE W. personalized photo clutches make great gifts for the bride and the bridesmaids. Bringing life to a gorgeous photo from a engagement photo shoot. 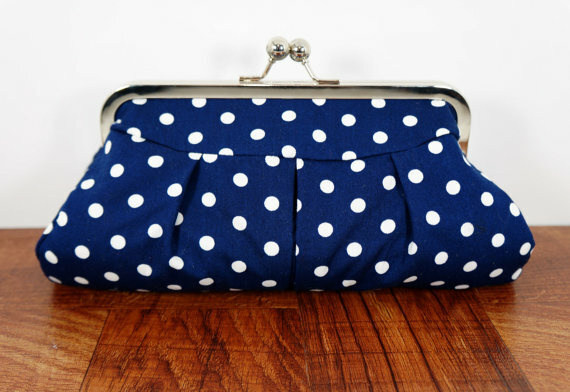 Something Olde, Something New, Something Blue all in one clutch bag. See more at Angee W..
October 30, 2014 by ANGEE W.
Have you ever met the black hole inside your handbag? It usually shows itself when you need to find something quickly, something like your passport and boarding pass in front of a tired and grumpy immigration officer… Not exactly how you’d want to start your honeymoon travels indeed! 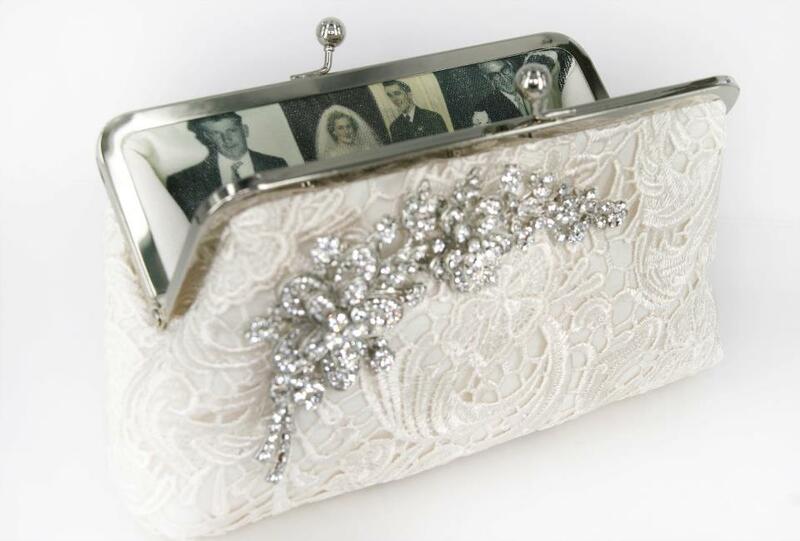 Fret not Dear Brides, your wedding clutch bag could be your solution to ban that black hole away forever! 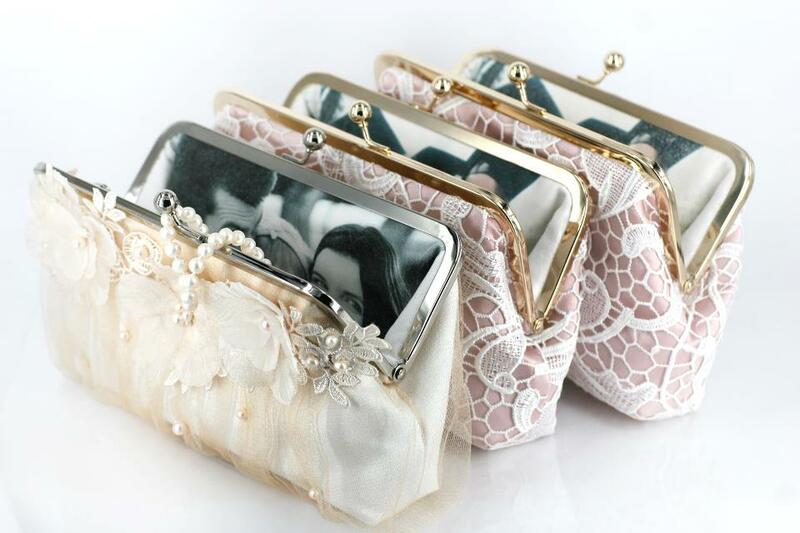 Small in size and elegantly constructed on a snappy metal kiss lock frame, a bridal or bridesmaid’s clutch bag can be a great travel companion keeping all these travel knick knacks and important documents in check. 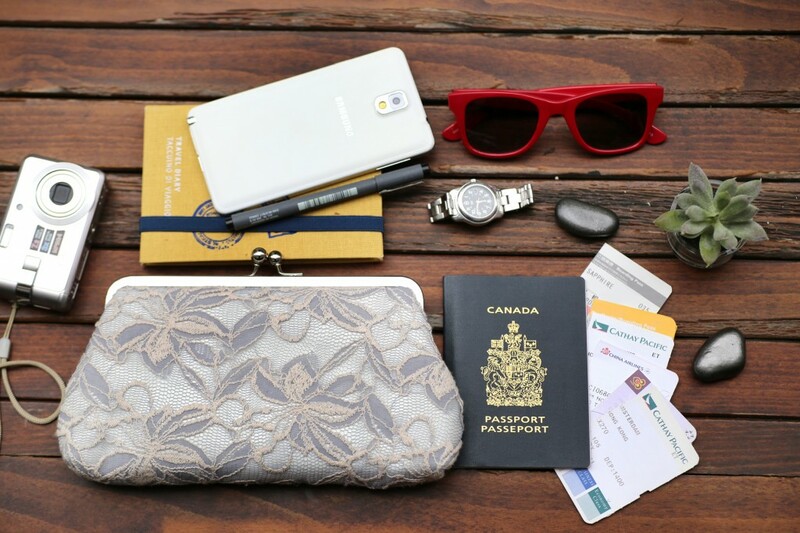 Whether it’s to hold your passport and boarding pass or your lip gloss and aspirins, you know that you won’t have to fumble into your tightly packed-to-the-brim large travel handbag when you need to flash out your documents at the airport immigration or at the hotel check-in. 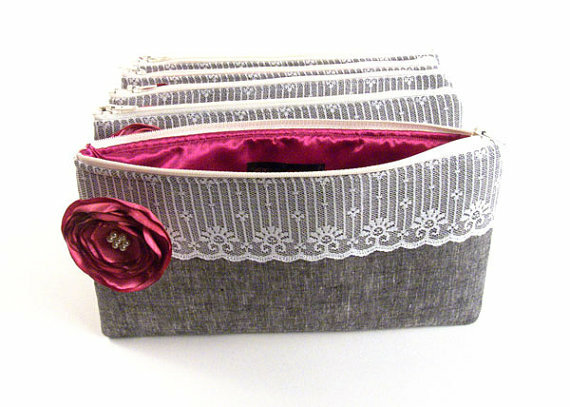 So, make sure to include one into your wedding trousseau! 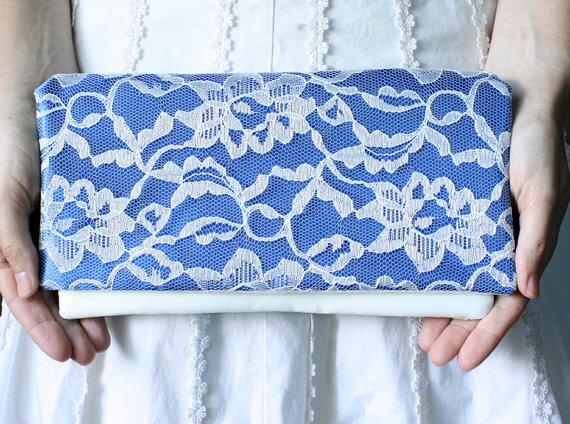 September 16, 2014 by ANGEE W.
Spotted: a zig zag clutch worthy of gifting to bridesmaids! 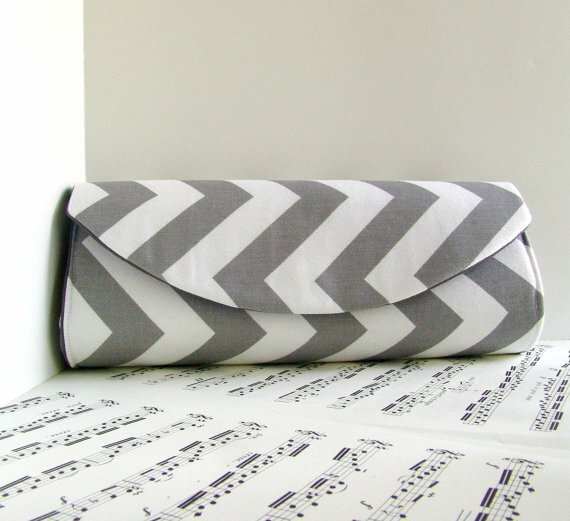 This grey chevron clutch by Toriska, recently added to The Marketplace, features a sideways zig zag chevron pattern in white and gray. The inner lining is made of gray cotton with a stiff layer so it keeps its shape; magnetic snap closure.